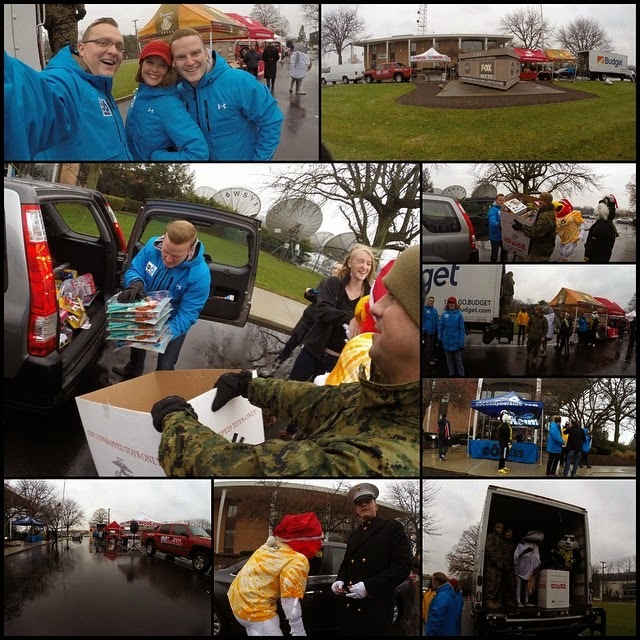 It was a tad soggy early Saturday, but the rain did leave before the end of the Toys for Tots event at our station. We filled two moving trucks with toys for kids. It was so awesome to see such a great out-pour of support from the community. I also filled in on The Football Fever last night. Even though the game was inside, we still did a fun little forecast. 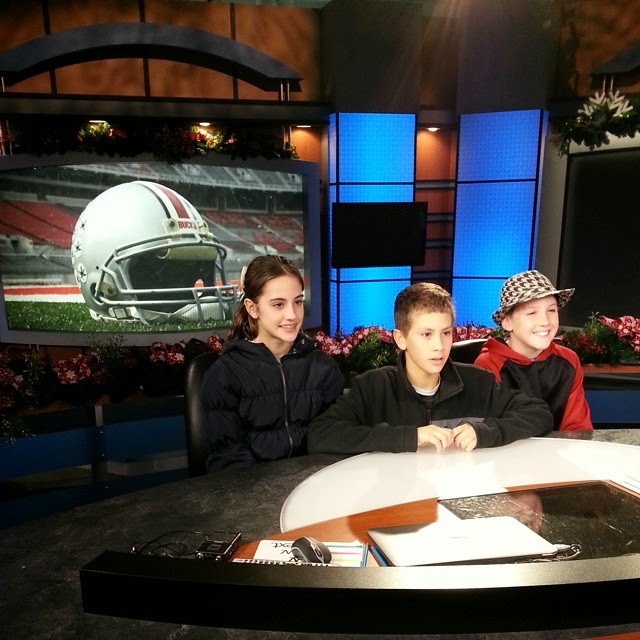 Dawn's niece and nephews stayed with us this weekend and I gave them a tour of the station after the show. Then they went home to watch the game... and BOY!!! What a game! 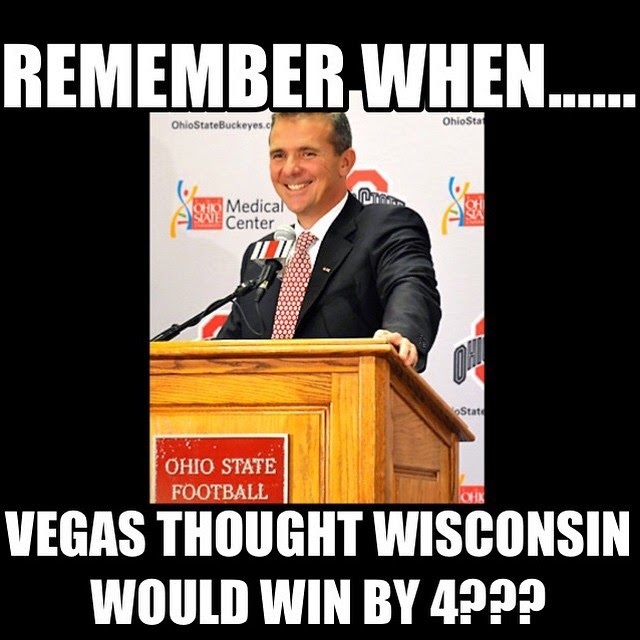 I don't think anyone expected the Buckeyes to beat the Badgers by 59 points in a shut-out of a game. Definitely a sign of a team that is ready to take the big stage. 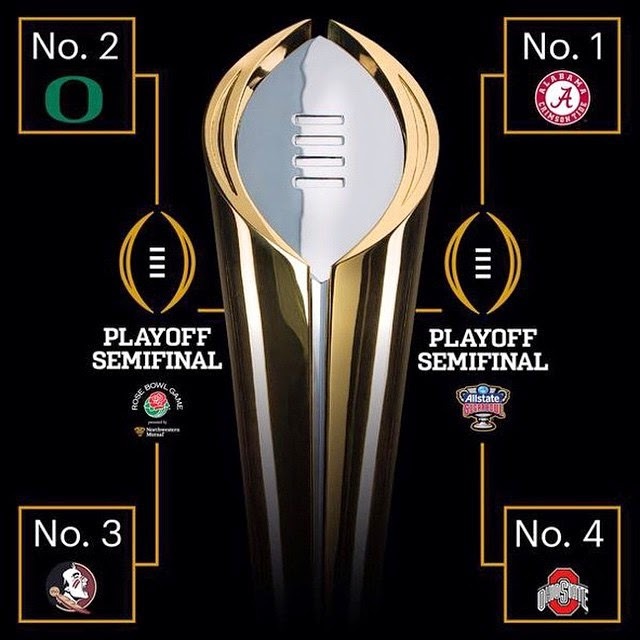 I was super excited to see Ohio State made it into the first College Football Playoffs. They will have to play just as good to contend with Alabama. That Virginia Tech loss was months ago and as Urban said... this team is MUCH improved. Sure I am nervous, but excited to be invited to the big dance. Game will be New Year's Day night... and luckily... I have the day off! 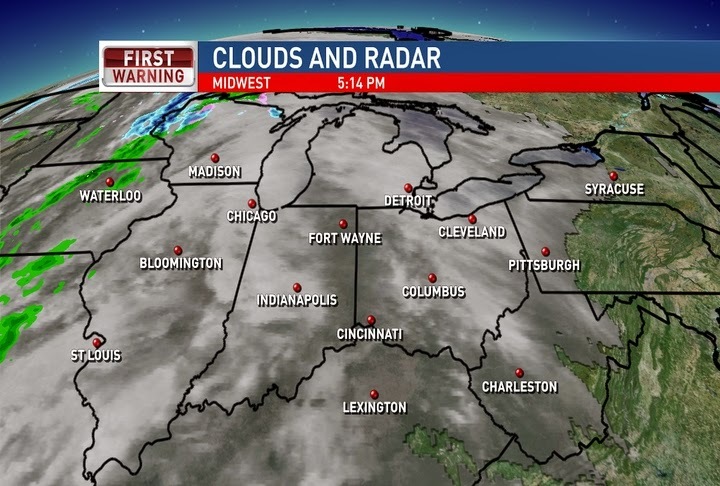 The wintry mix out in the Plains is headed this way. It will not arrive until Monday night and Tuesday, but as you see, it is pretty scattered and light. High thin clouds building tonight and cold. 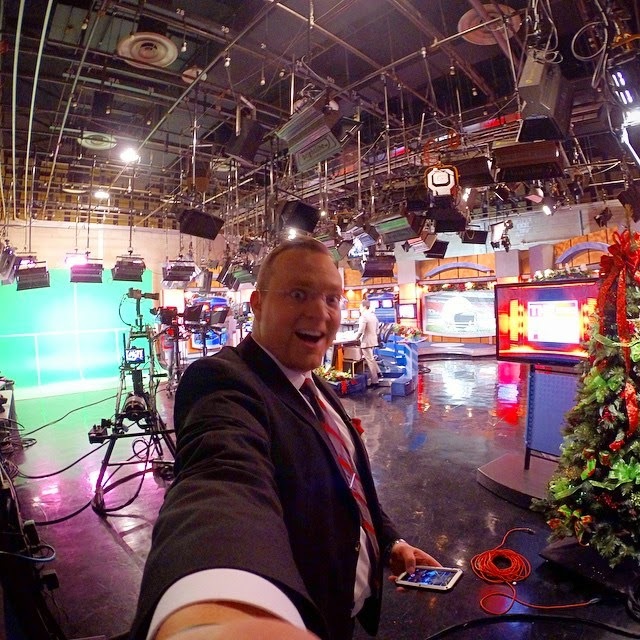 Partly to mostly cloudy Monday and a little more mild, with highs in the mid-upper 40`s. Light rain showers arrive Monday evening. As temperatures fall Monday night we could see some snow mixing in across Central Ohio. The scattered, light wintry mix will continue on and off Tuesday. A few flurries will linger Wednesday as the colder air pushes in for the second half of the week. A couple of weak systems will be near Ohio by the end of the week, but current forecast models are keeping it all just outside of Ohio. Have a good one!